If you gamble because you like to imagine what you would do with a sudden and unexpected seven-figure payday, progressive jackpot slots should be number one on your list of priorities at the casino. The odds of winning a progressive jackpot are absolutely stacked against you, but the fact is every major jackpot you see advertised at your favourite casino will be paid to a real person who also thought he or she would never be the lucky one. 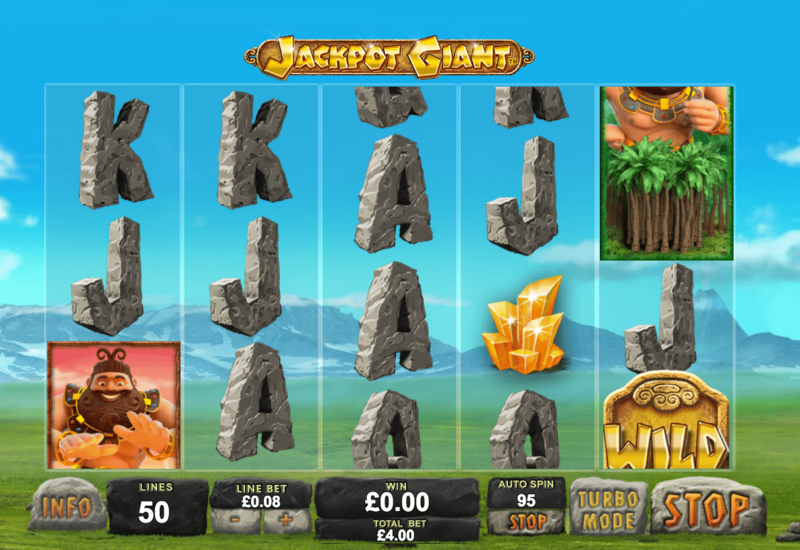 We have discussed games with big jackpots before, but now we’re back with an even more in-depth and up-to-date list of progressive jackpot slots. 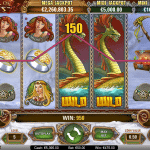 Each of these games is capable of issuing a life-changing payout at any time. 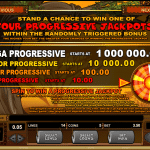 Before we get into listing the best progressive jackpot slots, we would like to emphasize that previous point: progressive jackpots are paid out very rarely. They eventually are awarded to someone, but the odds it will be you or me in particular are miniscule. Progressive slots are not games to throw serious money at in the hopes of improving your chances. No matter how much money you spend or how many times you spin the reels, you cannot shift the odds in your favour to any measurable degree. Always remember that when you play. It’s fun to throw a little money at a progressive jackpot and imagine being crowned the newest millionaire of online gambling, but keep it in perspective. 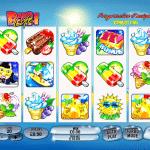 Progressive slots are best taken in small doses. There are two important things to note regarding this list. First, this list does not span the entire internet. 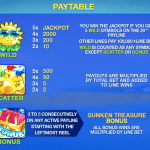 These are the biggest progressive jackpots that can be found at casino sites that we know and trust. There may be bigger jackpots elsewhere, but we cannot speak to their legitimacy. 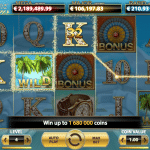 Second: the following jackpot numbers will be different by the time you read this post. That’s to be expected considering these things are constantly growing, being won and then growing all over again. 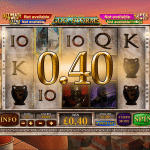 However, certain games tend to produce the biggest jackpots due to their popularity and the way the slots are programmed. 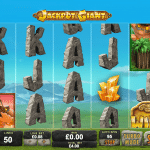 These numbers will begin going out of date the second this post is published, but the slots on this page are very reliable when it comes to offering big jackpots. 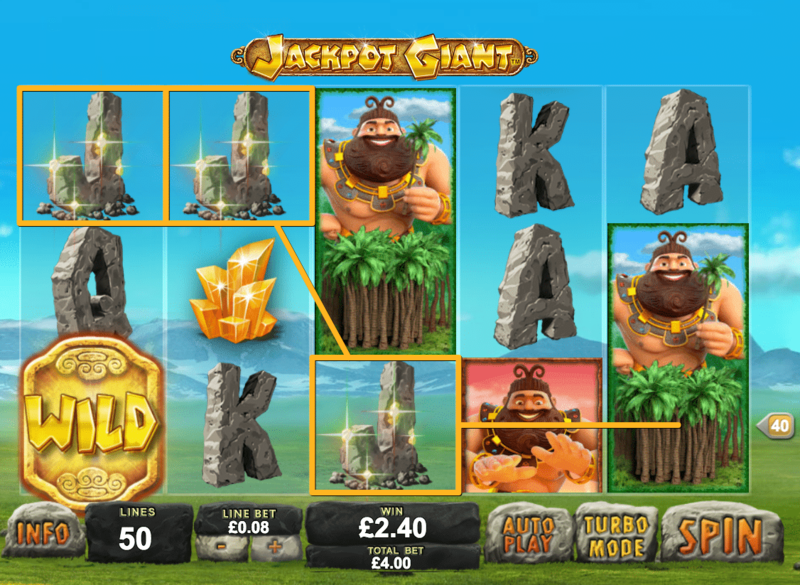 Jackpot Giant lives up to its name as a giant among progressive jackpot slots. No other game on the internet today has a bigger jackpot than this one. 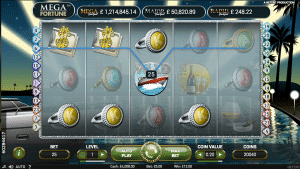 At the time this post was published, the jackpot had topped £7.2 million and was growing by the second. 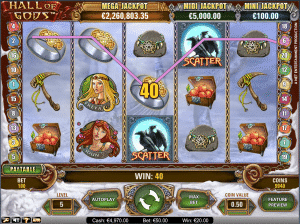 This is a very popular slot and the jackpot is very difficult to win – hence its ability to grow to such heights. 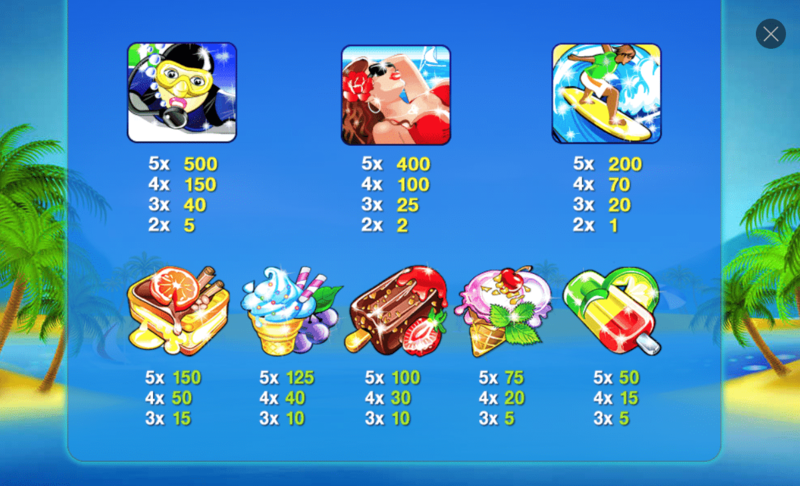 The progressive jackpot can only be won when playing the maximum possible bet (max coins per payline, all paylines active). 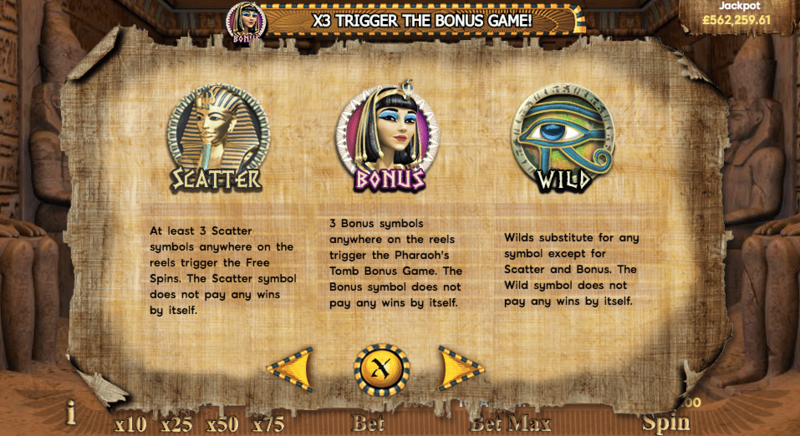 When you place a qualifying jackpot bet, the jackpot is paid if you hit five wild symbols in a single payline. 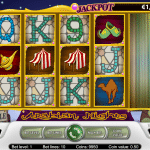 One of the nice things about this slot is you only contribute to the jackpot when playing the maximum bet which qualifies for a progressive jackpot payout. If you place smaller bets, you are not funding someone else’s jackpot. The jackpot in this game only grows when people place full max bets. 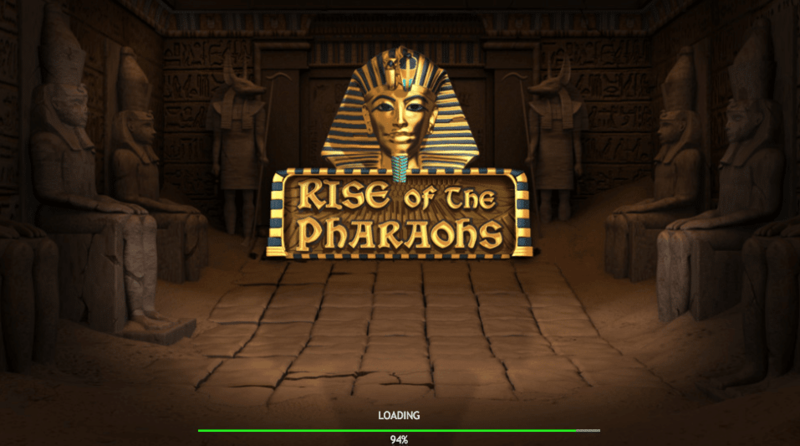 Rise of the Pharaohs has a surprisingly large jackpot considering how difficult the game is to find online. 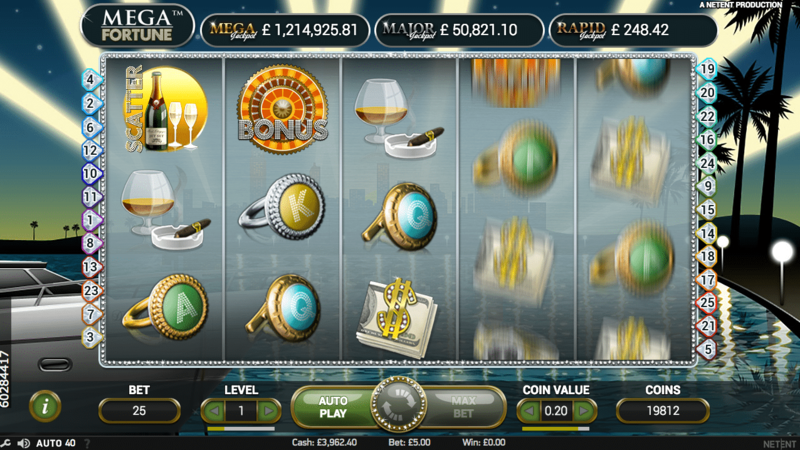 888 Casino is the only major casino site we know of with this game, yet it boasts a jackpot in excess of £500,000. 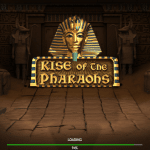 The ancient Egyptian them is a bit cliché, but that is a small price to pay for a game that has a massive jackpot and presumably not as many people competing with you to win that jackpot. 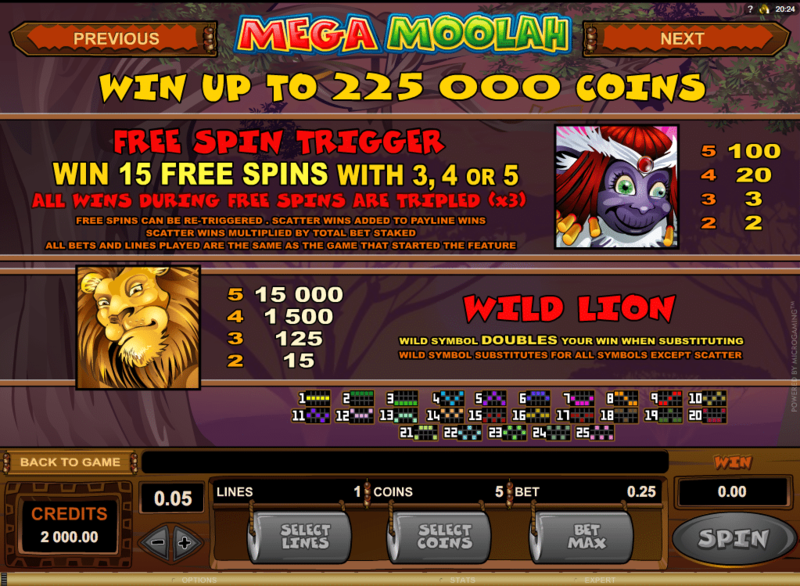 Sticky wilds, free spins and a bonus game that awards multipliers all serve to make things interesting as you strive to hit the mega jackpot. 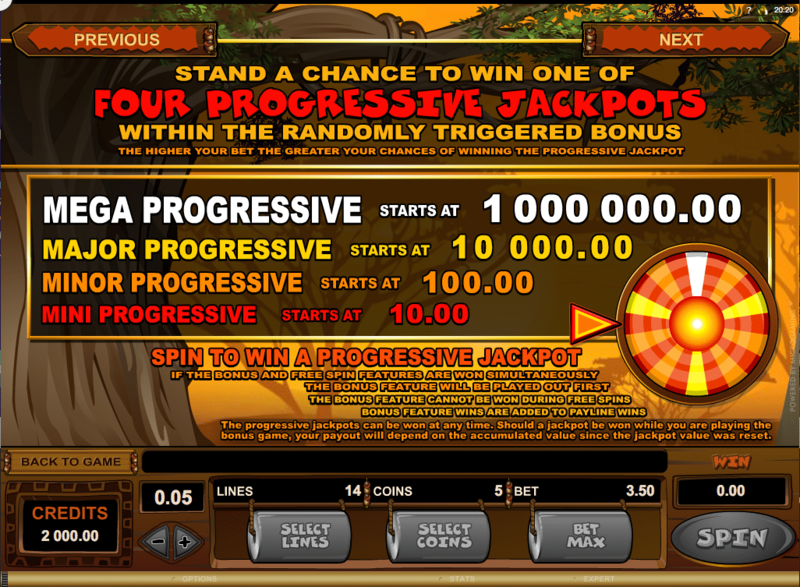 Winning the progressive jackpot is completely random and can happen at any time. 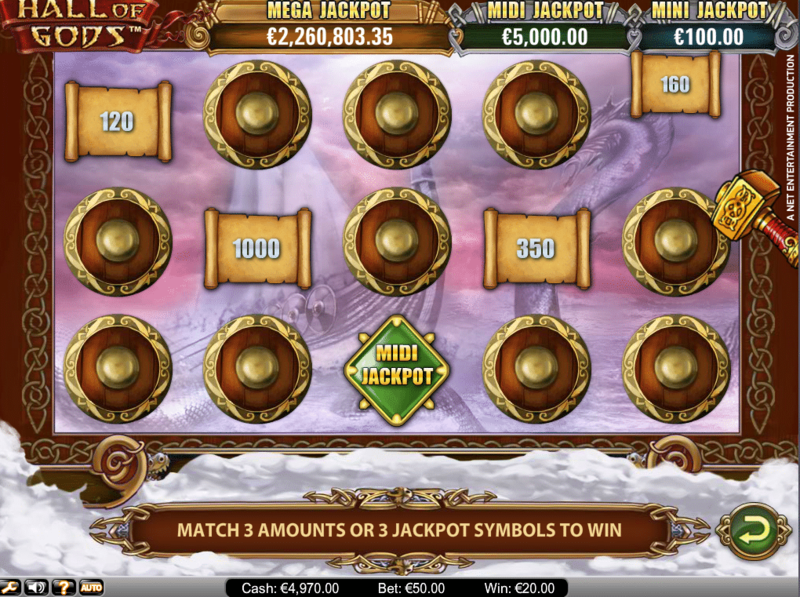 There is no special set of symbols you need to hit or any kind of bonus game that you must defeat to hit the jackpot. 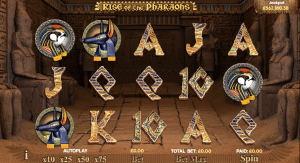 However, the odds of hitting the jackpot do increase based on the size of your bet and the number of selected paylines. 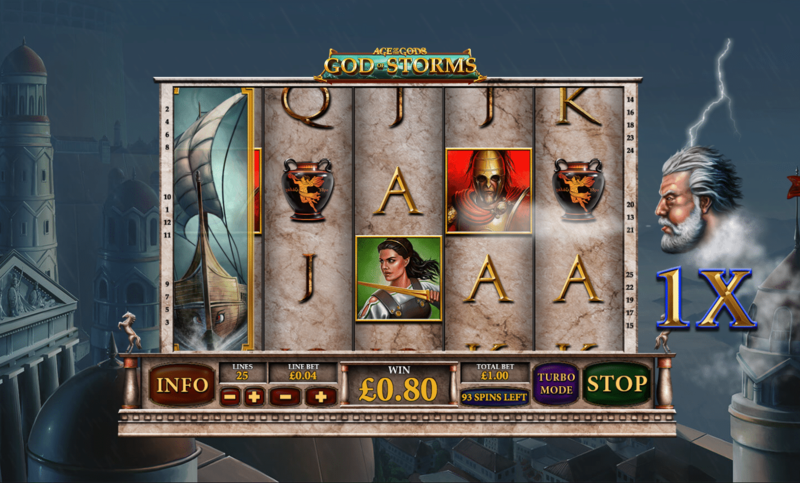 God of Storms is a fast-moving slot with multiple types of wild symbols, respin features and multipliers that can go as high as 5x. 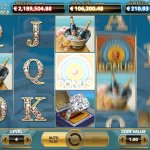 The game is also flexible with up to 25 paylines and the ability to bet as little as 0.01 at the low end to as much as 250 per spin at the high end. 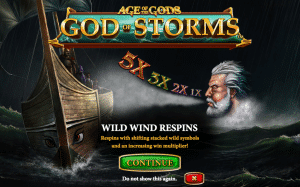 Whatever your bankroll, God of Storms can be configured to work for you. 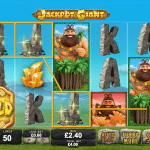 The God of Storms progressive jackpot is shared with Age of Gods and the Marvle Jackpot, which means the amount of money that can be won grows quickly each day. A total of 0.99% of every bet placed at God of Storms contributes to the jackpot and there are no special conditions to qualify for the jackpot. 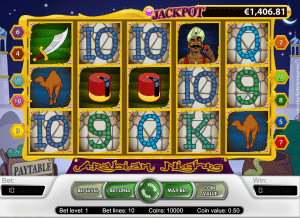 You can activate the jackpot game at any time with any number of coins. 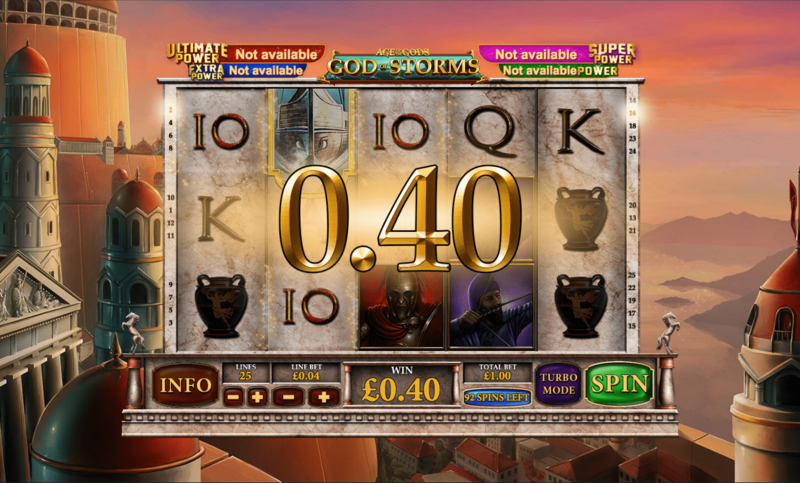 When the jackpot game is triggered, you’ll be taken to a screen showing 20 coins. Each of these coins hides one of the four jackpot symbols. Your job now is to select coins to flip them over and reveal the jackpot symbol hidden under that coin. Once three matching symbols have been revealed, you win the corresponding jackpot. 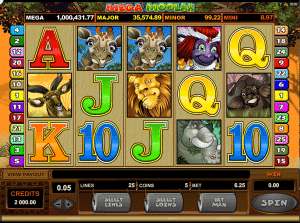 Mega Moolah is not my favourite progressive jackpot slot due to having a terrible RTP percentage of just 88.12 in an age where most other online slots have RTP numbers exceeding 95% pretty much across the board. Even so, the size of this jackpot is undeniable. 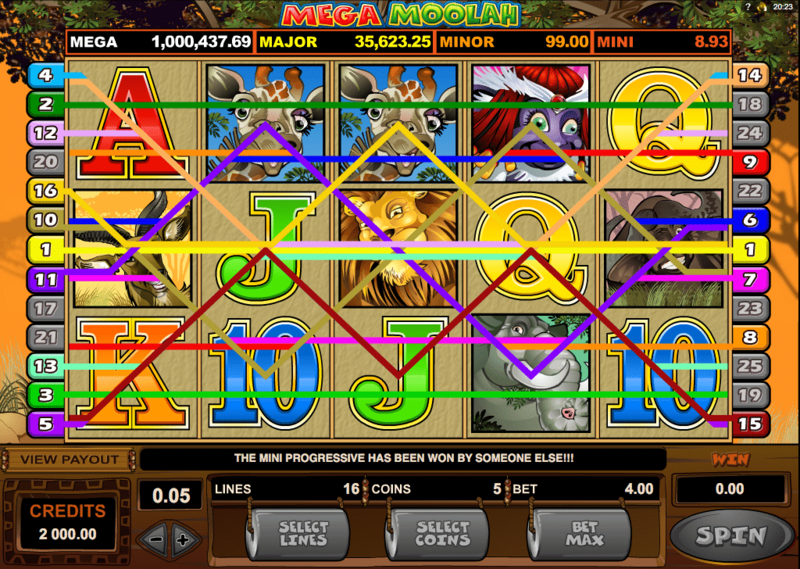 Mega Moolah has been around for years and the jackpot has never failed to impress. An African safari theme greets all comers with lion symbols serving as wilds and monkeys serving as scatters. 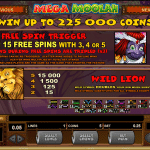 If three or more monkey symbols appear anywhere on the reels, Megah Moolah enters free spins mode with 15 free spins and all winnings tripled. 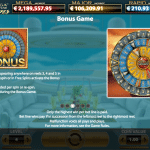 It is during free spins mode that you can win any one of the four progressive jackpots, including the biggest of all which is often worth seven figures or more. 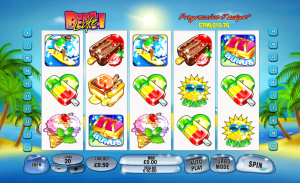 Beach Life is an aptly-named game that will indeed have you relaxing on the beach should you trigger the biggest jackpot they have on offer. 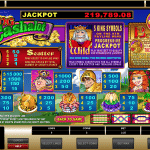 This jackpot often approaches seven figures as one of the biggest progressive jackpot games you’ll find anywhere. It’s a good thing the jackpot is so big, because this game does not have a whole lot going for it other than that. 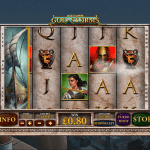 The graphics are quite dated by 2017 standards, the return-to-player percentage is not all that great and the minimum bet is a bit on the high side at 0.50. 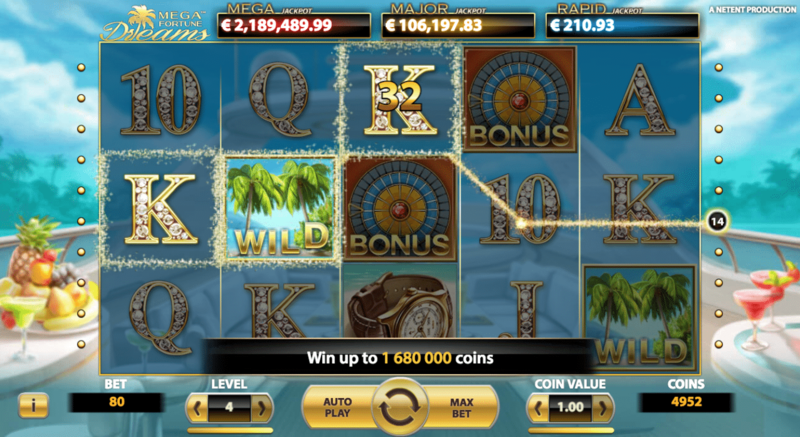 The jackpot begins with 100,000 coins as the starting point and then grows from there as people around the world play Beach Life online. 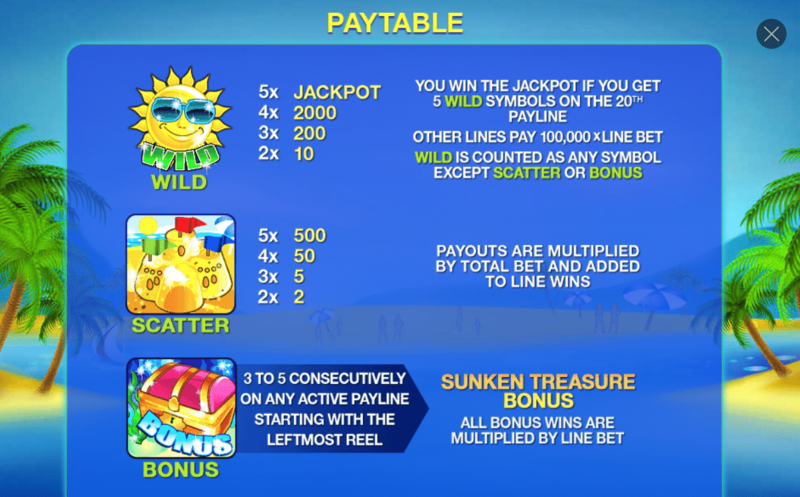 To win the jackpot, you need to play the max bet and then land five wild symbols (the sun) on the 20th payline. Beach life also includes a bonus feature which takes you to a screen containing twelve chests. You can then open three of those chests to receive the prize within. 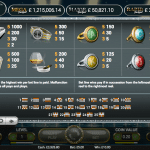 This feature is activated by landing three chest symbols on any active payline. 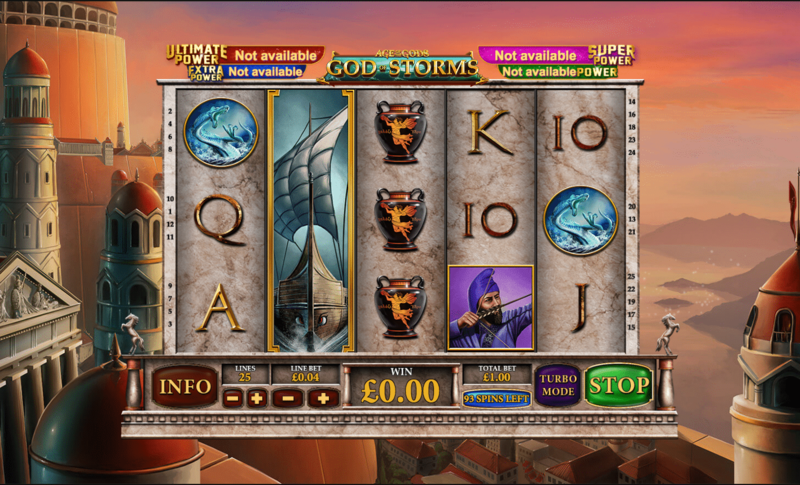 Hall of Gods is a sleek offering from NetEnt themed after seafaring Vikings searching for treasure as they cross rough seas. 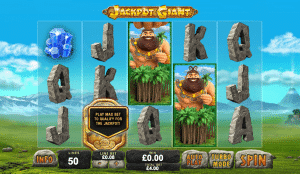 This game provides a combination of a large jackpot with crisp graphics and fast-moving games that sometimes seems rare for progressive slots. 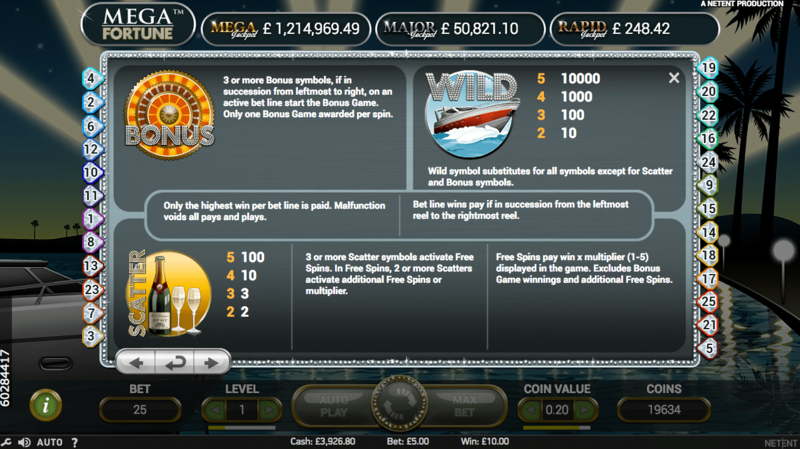 Low minimum bets and forced minimum to activate the jackpot ensure the game remains accessible to players of all bankrolls. A pair of ravens set against a full moon serve as the scatter symbols while a hissing serpent serves as the wild and the hammer activates the bonus game. Three hammer symbols will take you to the bonus game where you use a hammer to break open shields and reveal instant payout prizes. 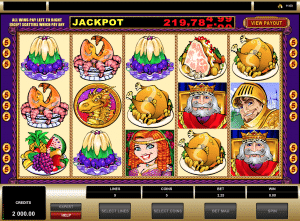 The progressive jackpot is won during the hammer bonus round. If you reveal three matching jackpot symbols, you win the correlating jackpot. 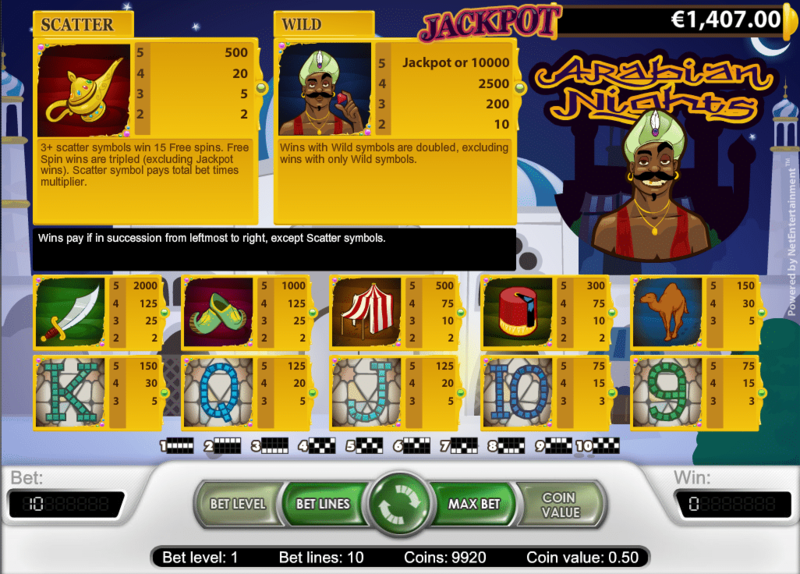 The three possible jackpots are the mini jackpot, midi jackpot and mega (progressive) jackpot. 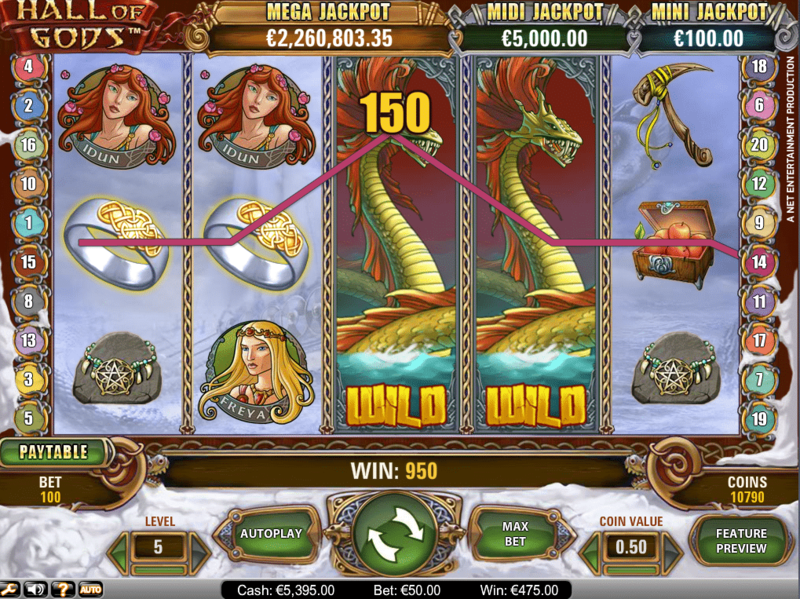 You can win the progressive jackpot with any bet size, but larger bets do increase your chances. 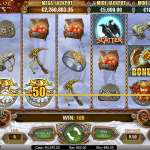 NetEnt’s Mega Fortune slot is home to some of the biggest potential jackpots on average. 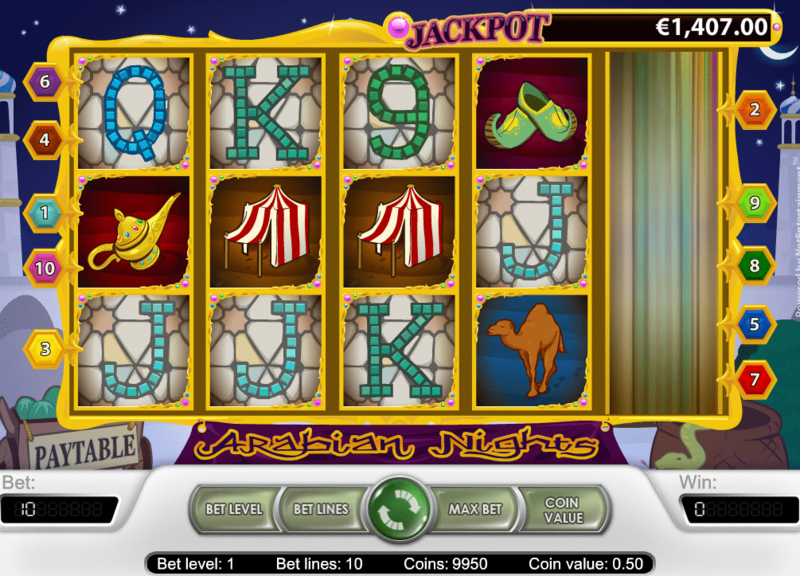 In fact, the current jackpot of €1.35 million is actually lower than average for this game. 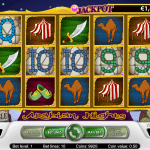 The Mega Fortune progressive jackpot often tops €3 million and has paid out for more than €3 million multiple times in the recent past, including this year. The Mega Fortune jackpot topped €7 million as recently as this past December, but even that is not the biggest it has ever gone. 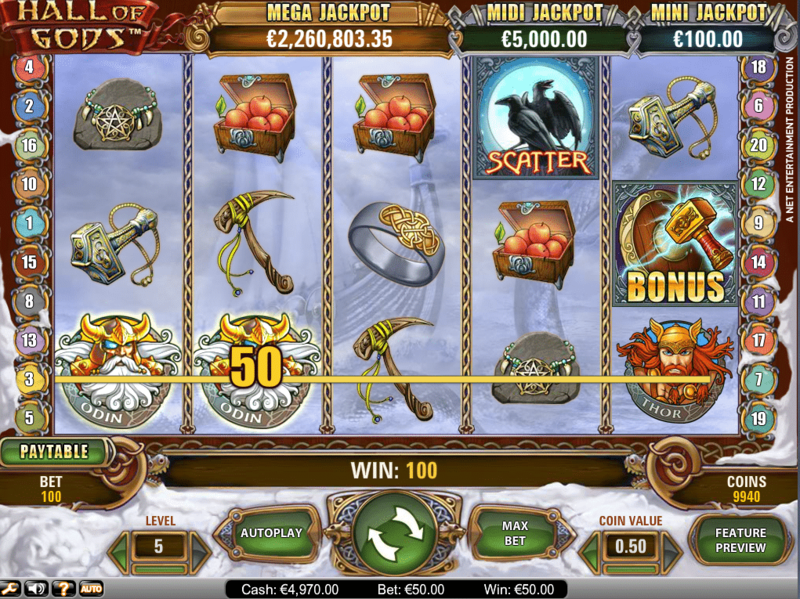 In 2013, a gambler from Finland hit the top jackpot at Mega Fortune for a record-setting payout of €17.8 million. 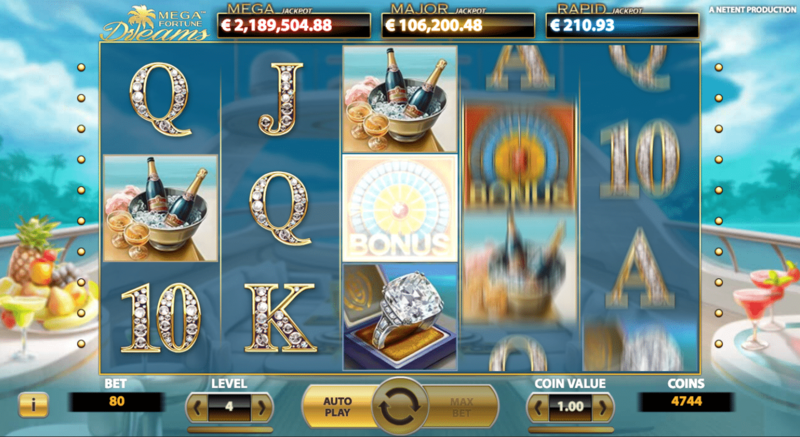 Mega Fortune boasts a fitting luxury theme with slots symbols depicting fancy rings, exotic cars, glasses of champagne, wads of cash and private yachts. 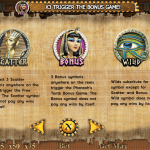 The bonus wheel symbols unlock the bonus game, and that is where the progressive jackpot awaits. 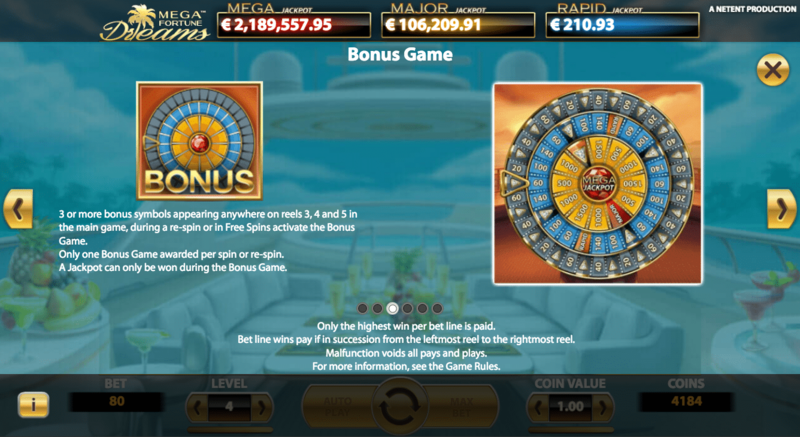 In the bonus game, you stop spinning wheels and win either a coin payout, rapid jackpot, major jackpot or the mega fortune jackpot. 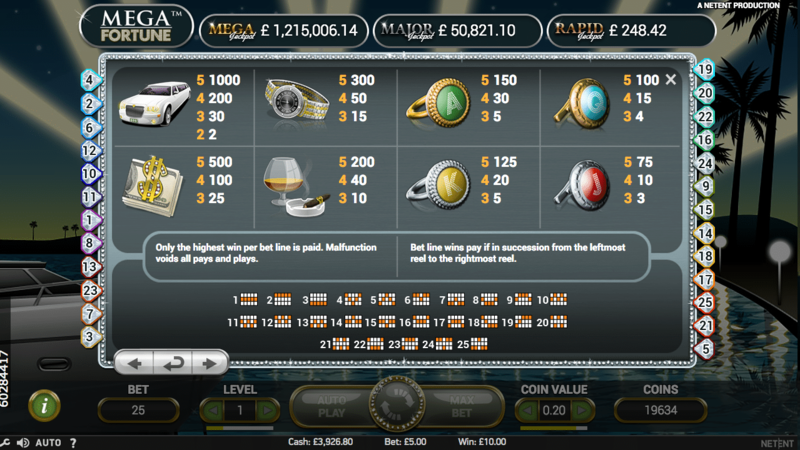 The bonus round can result in serious coin wins alone, but the ultimate objective here is to win the mega jackpot. 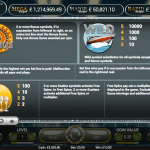 NetEnt struck gold with Mega Fortune dreams as the original would eventually become one of the most popular progressive jackpot slots of all. They followed up with Mega Fortune Dreams as a sequel to the original. 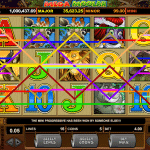 Mega Fortune Dreams took the winning recipe of the original and made everything a little bigger with more ways to win, bigger max coin payouts, a new progressive jackpot, higher betting limits and improved graphics and music. One thing that stands out right off the bat is much improved music. I get that we’re all here for the jackpots, but the original’s elevator music was fairly grating. This one has a more relaxed soundtrack that sets a better mood for smooth luxury. Once again, bonus wheel symbols activate the bonus game. The bonus game in Mega Fortune Dreams brings you to a multi-layer spinning wheel which you stop the outer ring first and then move your way in to the center. 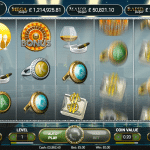 Starting from the outer layer, you stop the spinning wheel to win straight-up coin payouts and then move inwards as each layer promises bigger rewards including the rapid jackpot, major jackpot and ultimately the mega jackpot on the inner-most layer. 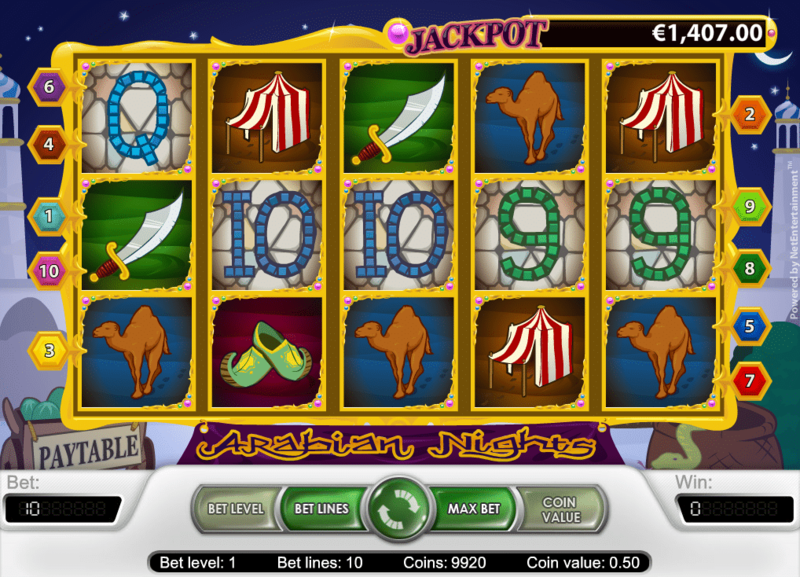 Arabian Nights is another old NetEnt title that has been paying big jackpots to lucky gamblers since 2005. 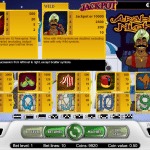 The Arabian Nights theme provides a nice change of pace from the usual themes we usually see from slots providers, but the graphics on this game are certainly starting to look a bit dated. 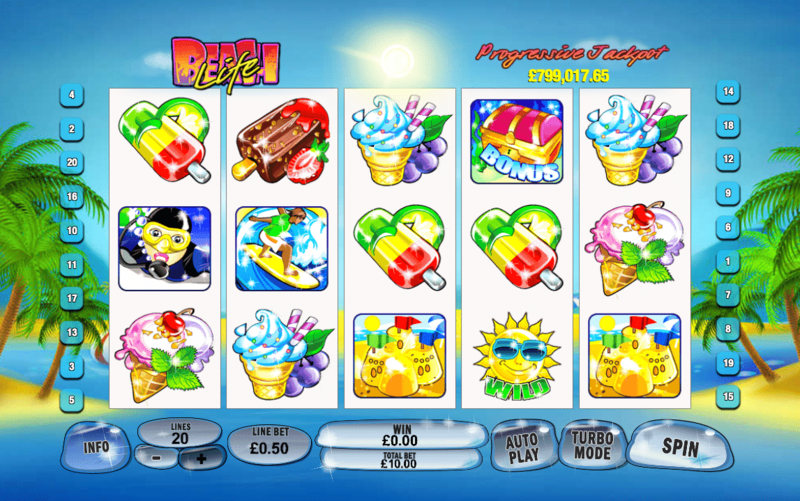 However, this game’s progressive jackpot remains as strong as ever with large payouts always just a spin away. 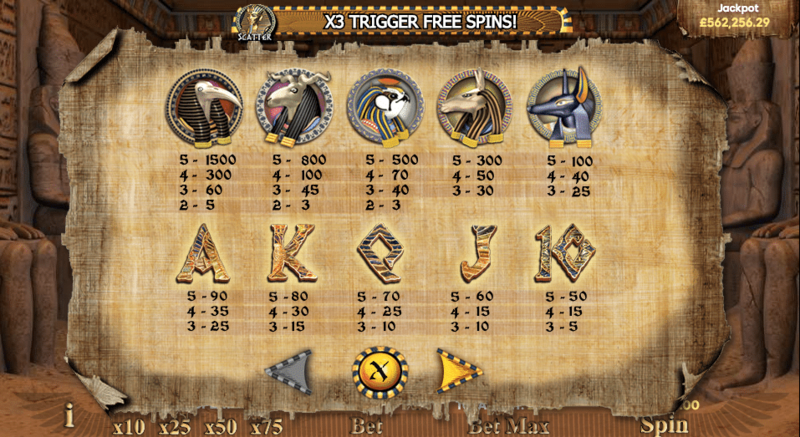 Scatter symbols provide free spins with a 3x multiplier while any winnings earned with the wild prince symbol are doubled. If you get five princes in a row while playing the max bet, the progressive jackpot is yours. Otherwise, five princes pays a straight jackpot of 10,000 coins. This is a solid overall game, but players should be aware that the minimum bet to qualify for the progressive jackpot is a hefty 5.00. You can still play the game for less than that, but jackpot hunters will want to go in with a big bankroll or look to a different game. 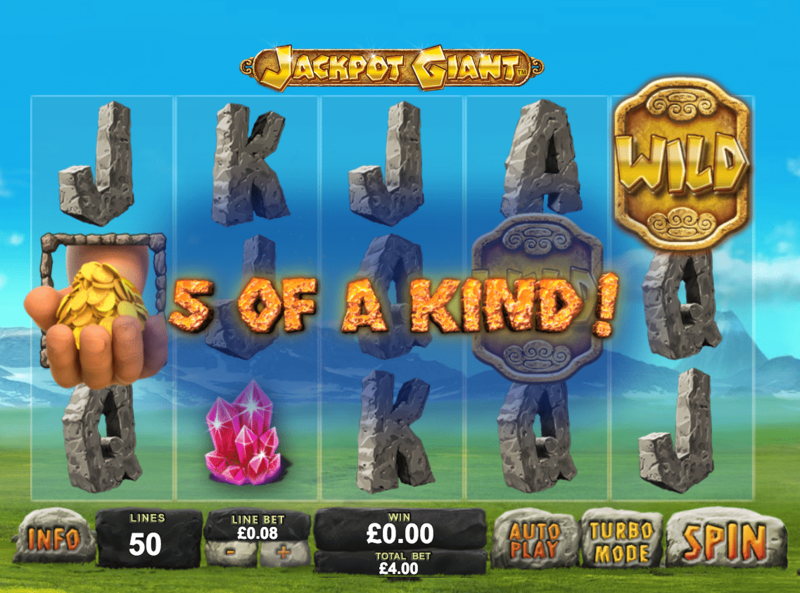 Simple graphics, catchy name and a big jackpot are the hallmarks of this progressive jackpot slot machine. The odds are you’ll either love or strongly dislike this game. It has an old-school style that will either remind you of the good old days or make you think this game is so outdated that it should be retired. 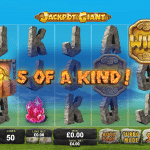 In either case, the jackpot is always considerable and the winning conditions are simple: bet the max amount and then land five king symbols on the 9th payline to win the entire progressive jackpot. 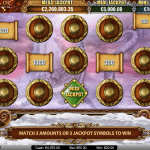 The jackpot in the past has reached as high as £1.5 million before being won. 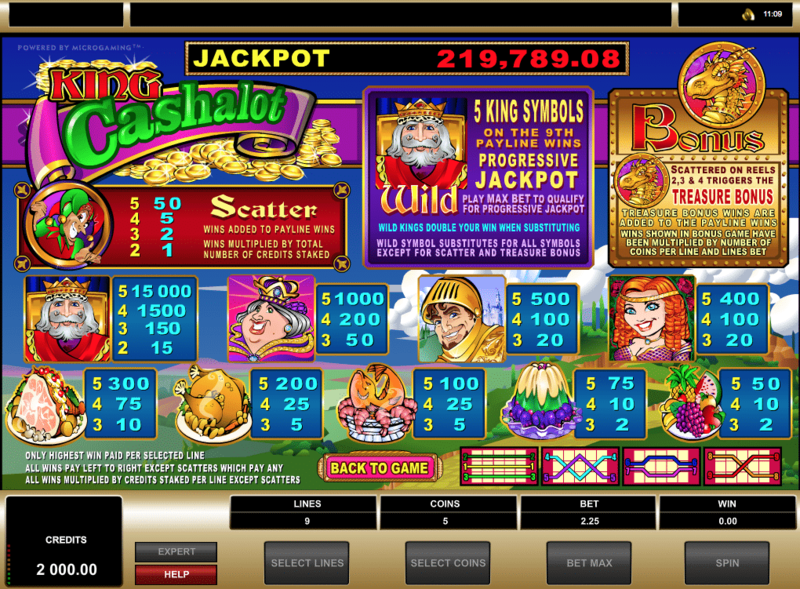 In addition to the progressive jackpot, King Cashalot offers as high as 15,000 coins for five king symbols on any payline and a bonus game. 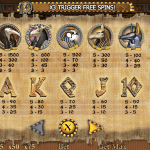 Three dragon scatter symbols on reels 2, 3 or 4 trigger the bonus game in which you open chests to reveal prizes. 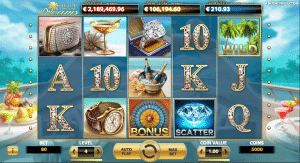 Prizes shown in the bonus game are multiplied by the number of paylines activated and coins bet per payline.